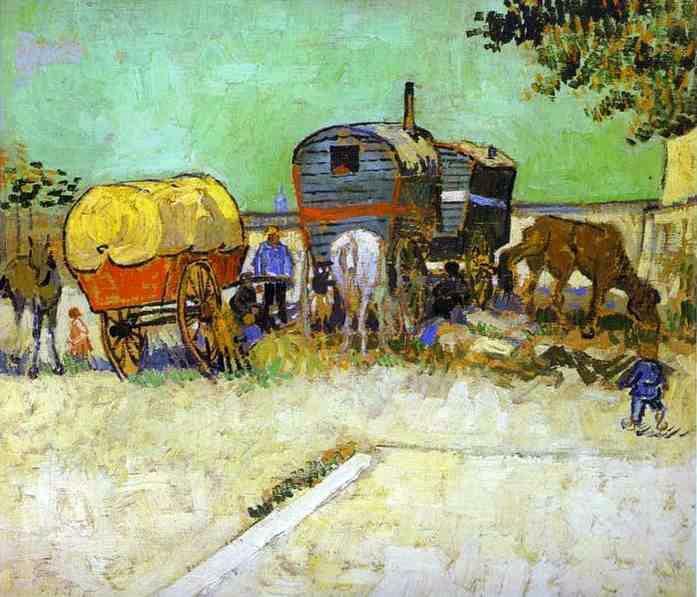 Vincent van Gogh: The Caravans – Gypsy Camp near Arles (1888, oil on canvas). Roma in the European Union face numerous basic challenges in their daily life – poor sanitation, hunger and youth unemployment, according to the European Union Agency for Fundamental Rights. In its latest report, it underlined the persistent inequalities that have long plagued Europe’s Roma in many countries of one of the world’s richest regions. According to the agency’s report, titled “A persisting concern: anti-Gypsyism as a barrier to Roma inclusion”, EU member states are still falling short on most of their integration targets, despite efforts so far. This is a key element of the EU’s 2011 National Roma Integration Strategies Framework. One out of three Roma are victims of harassment, according to the report. To combat such crime and hate speech, EU member states need to recognise and monitor anti- Gypsyism. About the living conditions for EU Roma, these have not changed much between 2011 and 2016. According to the report, 80% of Roma are at risk of poverty compared with an EU average of 17%. What is more, a third live in households with no tap water. Their access to safe water is often on a par with people in Ghana or Nepal. Such conditions undermine progress in education, health or employment. The FRA is calling for greater efforts on reducing poverty including eliminating segregated housing, better access to public utilities like electricity and water as well as more social housing. As regards education, gaps remain. Over 50% of Roma children attend early childhood education. This is often much less than non-Roma children their age. As for pre-school education rates, Roma in the EU are similar to the people of Puerto Rico. According to the FRA’s report, which measures the impact of existing measures over the years, EU member states should provide access to high quality education, learning support to compensate for the poor living conditions of many Roma pupils. They also need to offer targeted support at every stage of their education. The share of young Roma between the ages of 16 and 24, particularly women who are not in employment, education or training remains high compared to the general public. The FRA said EU member states need to boost employment, particularly for young Roma, through on-the-job training, traineeships and apprenticeships, for example. Roma should also receive targeted support to help them set up their own business.